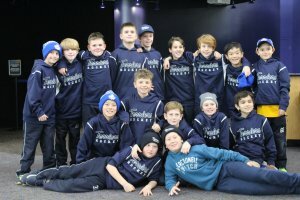 Mississauga Terriers Hockey Club Inc. 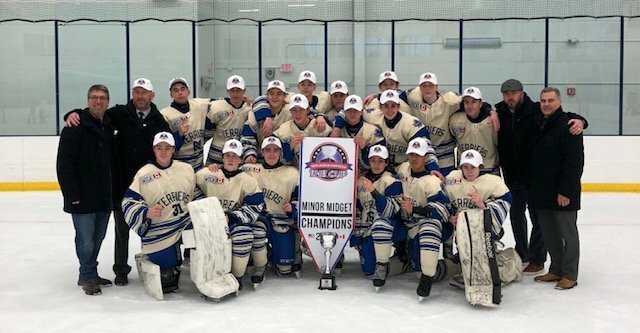 The Terrier’s Minor Midgets completed a perfect 5-0 weekend at the Buffalo Cup with a thrilling 2-1 overtime victory over the Oakville Rangers Sunday afternoon to be crowned 2018 Tournament Champions. 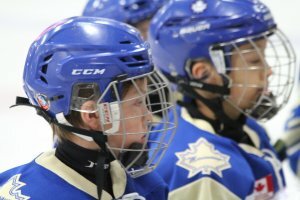 The Terriers saved their best effort of the weekend for the final five minutes as Oakville had neutralized their offence for a majority of the play during regulation time. In the last few moments of the game that changed as Massimo Calcagno provided the heroic effort by tallying the equalizer. That meant overtime. 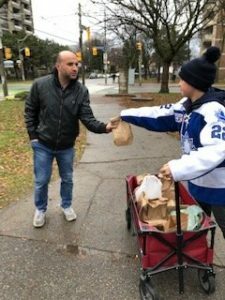 This entry was posted in Current Events on December 11, 2018 by Sandy. Winning. It’s a concept that dominates our society. Chess matches. Olympic competitions. School tests. It’s all about coming first. We talk about it and want it. Some victories are easy to determine because we rely on standings, or scores to provide a defined measurement of success. Then there are other victories, the ones that are decided by more subtle and often more meaningful ways. 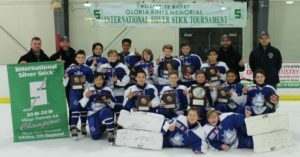 The Mississauga Terriers Bantam hockey team knows all about victories. 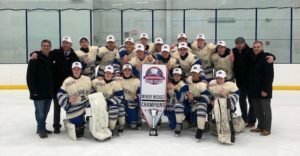 Most of the group has been together for a number of years, and they’ve had their share of winning. 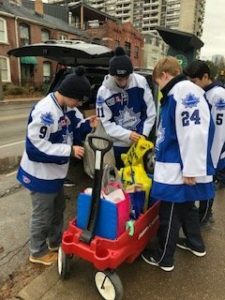 They are undoubtedly a good hockey team, but they have shown they are far more than that. 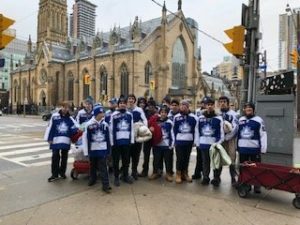 On an unusually warm Sunday afternoon late in November as the calendar turned towards December and the Christmas season these 17 Terriers, dressed in their blue jerseys, were the centre of attention in Toronto’s Moss Park. This entry was posted in Current Events on December 5, 2018 by Sandy. 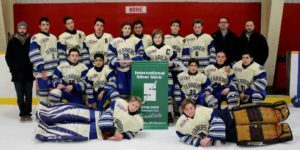 There’s obviously no straight path to success, just ask the Terriers Bantam team. This entry was posted in Current Events on November 30, 2018 by Sandy. Only two weeks after taking Gold in Lake Placid, the Minor Peewee’s have captured a berth in the Silver Stick Finals with a WIN at the Whitby Silver Stick Regional Qualifier. This entry was posted in Current Events on November 27, 2018 by Sandy. 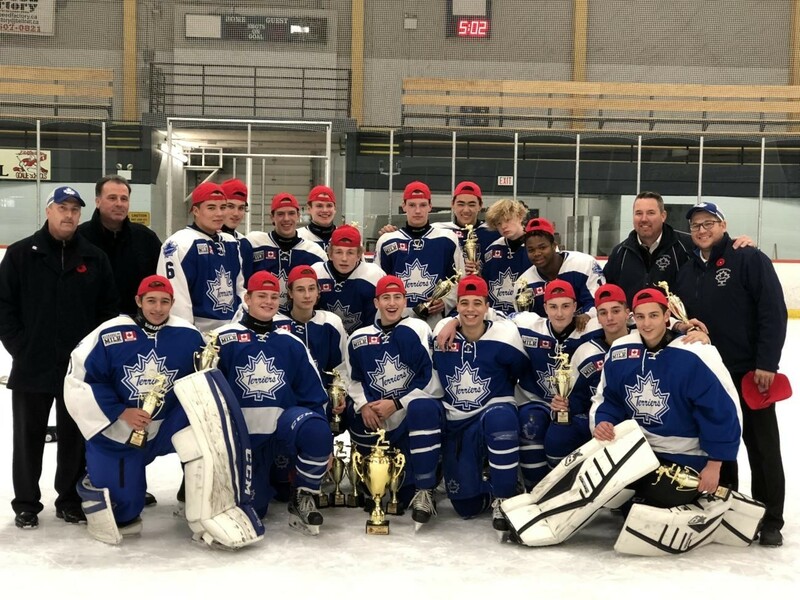 The Midget Jr. Terriers took on some local competition at the Mississauga Blackhawks tournament at Iceland. 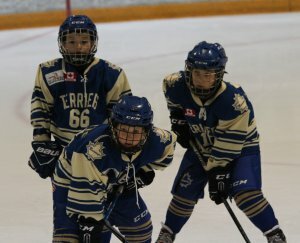 The Terriers advanced to the semi finals as the 2nd seed. 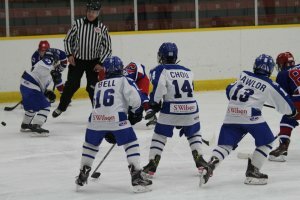 Matched up against a fast skating York Mills team, the Terriers advanced to the final with an exciting 4-3 win in OT. 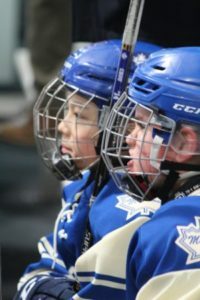 The final matched the Terriers against the 1st seed and league champs Mississauga North Stars. 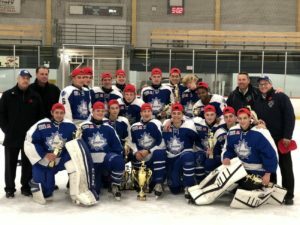 A hard fought rival battle was decided in OT with a Terriers 2-1 victory. 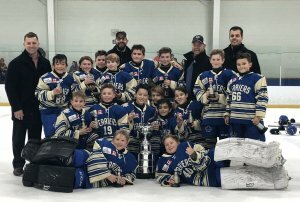 Way to go Terriers!! This entry was posted in Current Events on November 18, 2018 by Sandy.